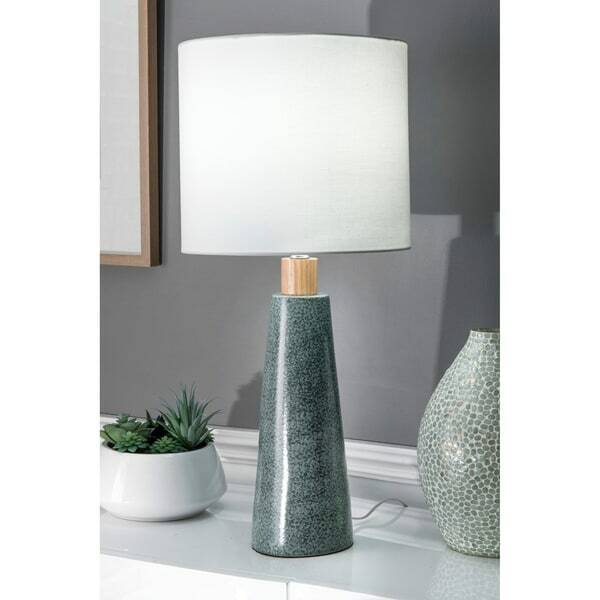 Ceramic Grooved Jug Table Lamp, Green, 29"
Let your room shine with the addition of this lavish 29-inch abstract table lamp. It has a Cotton Drum shade that delivers bright ambient lighting. Adds a vibrant flair to any room with its silver ceramic finish. It has a 13-inch wide, ivory cotton, drum lampshade that delivers soft lighting. Dimensions 6.0 In. X 13.0 In. X 26.0 In.